You will be missed. You, Joe Rouse and Tillerman were the first to welcome me to the community and link to me. I would have quit in a month had it not been for that. You certainly will be missed. 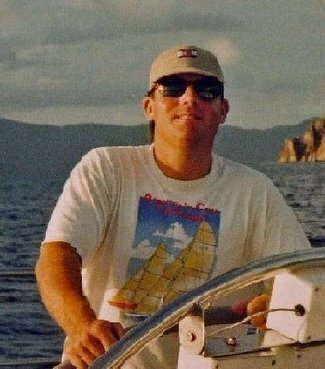 I think of you as one of the founding fathers of sailing blogging. Thanks for all the great stories and notes over the years. Good luck with your new writing projects. ye shall be missed indeed. hopefully you will share your other ventures at the appropriate time. And please keep reading, and commenting when appropriate. Thanks for the kind comments y'all. I'll be keeping my eye out for you three! I don't know that I can say more than that. Fair winds and clear stars be with you. Best of luck be yours in all your voyages, whether nautical or literary. I just found this blog it's a shame I missed it. If you ever get back into blogging or if it comes time to renew your boat insurance policy you should check out United Marine Underwriters' in depth boat insurance buyers guide. It's a great source of information for thinking about what to cover. sorry to hear your leaving us, this was a great blog. We will miss you so much. Thanks for everything. need more updates about that show. where it will be goona held. I'm personally a big fan of zephyrsail blog. Thanks for sharing this post.